Alone, its easy to feel powerless, but united, the seemingly impossible can be done. That's the lesson a giant bull elephant taught a community in northern Kenya this weekend by bringing them together to set him free. 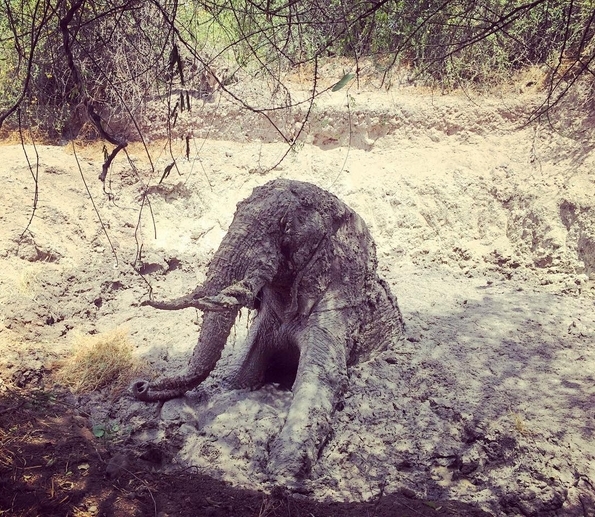 On Saturday, the weak and dehydrated elephant was discovered in a muddy well in Kenya's Lewa Wildlife Conservancy, having become stuck in the "tar-like" pit the night before. "The poor bull elephant was so thirsty," wrote Jules Binks on Instagram. "We decided to give him some water, which he drank timidly at first, but it didn't take long for him to start gulping it down." 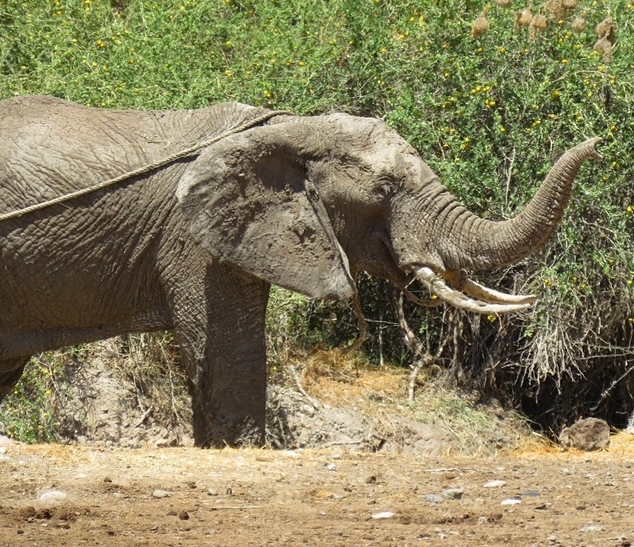 Eventually, a team consisting of Lewa Wildlife Conservancy, the Northern Rangelands Trust, Save the Elephants and area residents came together to free the frightened elephant. It took the rescuers three cars, 25 gallons of water and the support of the entire community, but four hours later "the joint team managed to get him out and he walked away," according Lewa Wildlife Conservancy. 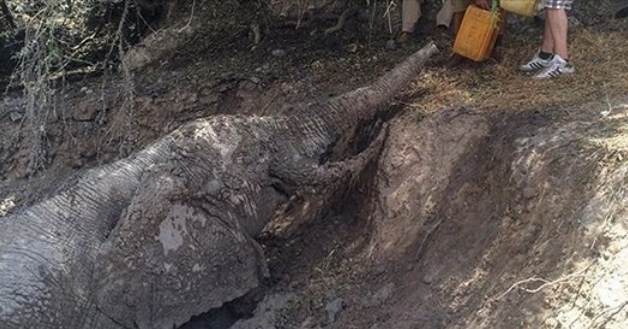 Responses to "Scared Elephant Trapped In Mud Knew He Was Safe When Help Arrived "